The 20th annual MTV Europe Music Awards will be held in Glasgow, Scotland this year and hosted by Nicki Minaj. The awards show will air TONIGHT in the U.S. at 7:00 p.m. on MTV. There will be an array of American artists performing at the show. Some of these artists include: Ariana Grande, Ed Sheeran, U2, Enrique Iglesias, Nick Jonas, and Nicki Minaj! 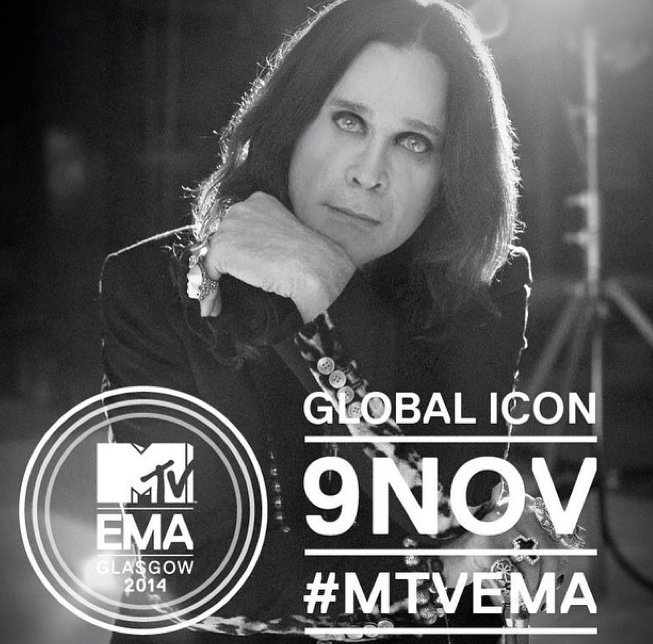 Ozzy Osbourne is this year’s recipient of the 2014 Global Icon Award and will perform in celebration. Last year, Eminem was the winner of this covenant award. Whitney Houston and Bon Jovi are also among the previous winners of this award.